While most startups are bootstrapped, some entrepreneurs self-fund their startups by choice. I think it’s important that founders make data driven decisions about their startup funding options. Do funded startups exit sooner? Do funded startups have higher exits? How does the performance of bootstrapped teams compare with solo founders? 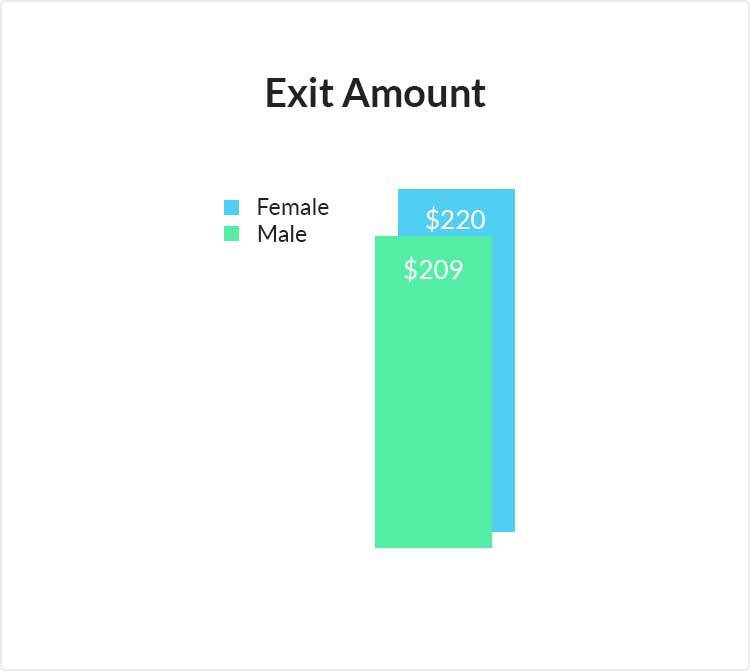 Who’s more successful at bootstrapping, males or females? While bootstrapped startups exit sooner, the average acquisition value for funded startups is higher. 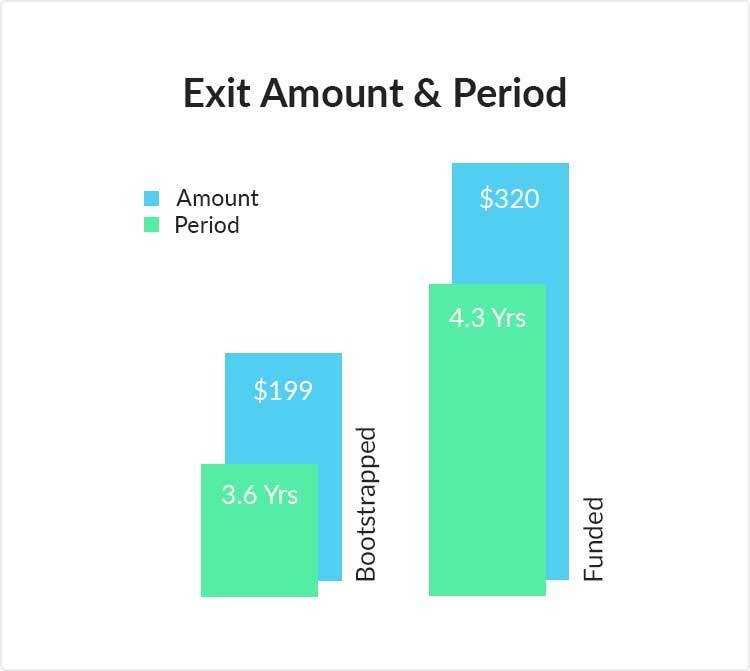 On average, it took bootstrapped startups 3.68 years from start to exit as compared to 4.33 for funded startups. While bootstrapped startups on average exited sooner, the acquisition amount for funded startups is 60% higher, $320 as compared to $199 million. Although the figures suggest that bootstrapped founders leave money on the table, it is likely that, with a few exceptions, their return on investment is higher considering their sole or majority ownership in the company. While the acquisition value for bootstrapped solo founders is lower than bootstrapped teams, acquisitions for funded teams are on average significantly better than funded solo founders. Bootstrapped teams with at least 2 founders outperform solo founders by an average of 32%. 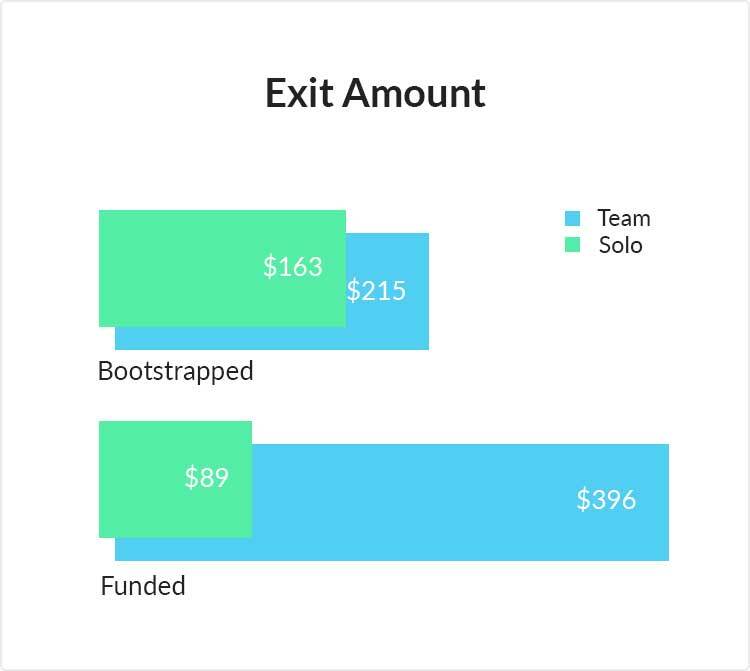 The average exit amount for teams is $215 million as compared to $163 for solo founders. Surprisingly, funded solo founders significantly underperform every other group including bootstrapped solo founders while funded teams, on average, exited with the highest value, $396 million. Bootstrapped female entrepreneurs outperform male founders. The performance of bootstrapped female founders is slightly higher than male founders. On average, bootstrapped women exited with a 5% higher acquisition value than bootstrapped male founders, or $220 as compared to $209 million. The analysis includes both teams with all females or males and majority males or females. Bootstrapped technical founders outperform their non-technical peers. Surprisingly, while teams with at least one technical founder are much better bootstrappers, average exit amount of $342 million as compared to $98 for non-technical founders, funded teams with one or more technical founders do much worse than non-technical teams, average acquisition value of $178 as compared to $350 million. Although not accounted for in this analysis, the difference may be explained by the findings of First Round Capital that while technical founders significantly (230%) outperform non-technical teams for enterprise products, non-technical founders do better (31%) for consumer companies. 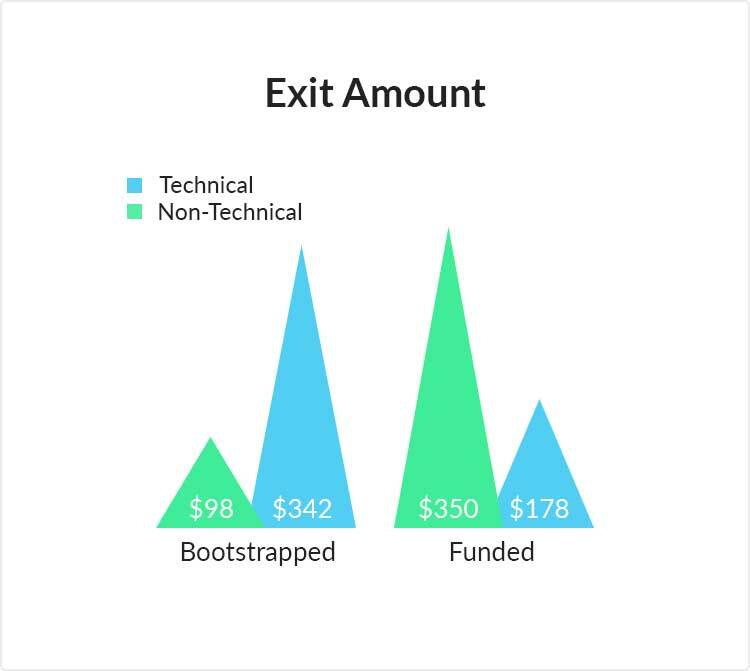 A bootstrapped startup is defined as a company that 1) did not receive a single round of funding from start to exit, and/or 2) their funding amount is below the sample median. I only analyzed acquired startups. The results may thus be prone to a selection bias. Each startup is assigned to and analyzed with respect to its category (e-commerce, FinTech, EdTech, etc.). There is a total of 11 categories. The period of the study is from July 2007 until July 2017. Although the data may not be representative of the whole industry, it provides some insights worth looking at and considering. Write me a comment below with your thoughts about the findings.